It’s our job to help you overcome the disruption and heartache of divorce, so you can move on to a better life. Because California is a community property state, the amount of time your assets have been commingled has a significant influence on your marital settlement agreement. In addition, different California counties have varying guidelines and rules regarding divorce. From straightforward to complex divorce, our attorneys know those distinctions and will fight for your rights unequivocally. Fleischer & Ravreby have a full arsenal of experienced lawyers with backgrounds in accounting, estate planning and taxation to help you make wise decisions that you and your children can live with. 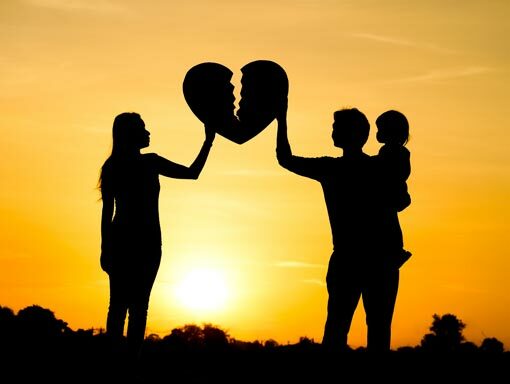 Currently, we have four family law lawyers in San Diego who specialize in California Divorces from various angles and with varying styles. Each is fully equipped to handle a wide range of variables related to your divorce. As always, other legal staff support these divorce experts as needed. Sarah has more than 12 years as a family law lawyer and has proven to be incredibly knowledgeable and organized. Exceptionally poised in court, she is very proficient at presenting cases to the court. From California Divorce to high conflict custody, Sarah has been named one of San Diego’s Top Attorneys by San Diego Magazine from 2014 through 2018. Known for telling you what you need to hear, not what you want to hear, Dan is very passionate about his work. He brings extensive experience as a top litigator, but despite his many hours of experience in both jury and bench trials, he prefers to work with clients to find good solutions outside the court system through alternative dispute resolution. Tana is an exceptionally smart family lawyer who knows the law inside and outside. Her diverse education includes a deep background in behavioral psychology that serves her well in her family law practice. Tana has a research mind and is invaluable to our California divorce clients. In addition, she handles the Military Divorce cases at Fleischer & Ravreby. Steven K. Brumer practices family law, bankruptcy law, as well as trusts & estates with Fleischer & Ravreby. He is one of a handful of attorneys with a specialized post-graduate Master of Laws degree (LL.M.) in taxation. Steven’s extreme attention to detail and passion for trial can be comforting to clients seeking a California Divorce with legal representation from our firm. to talk over your California Divorce.